This content was produced by Signal Labs, TripSavvy’s in-house branded content team, in collaboration with Disney Destinations. TripSavvy’s editorial staff was not involved in the creation of this content. Choosing to stay at a Disney Resort hotel will simplify your trip-planning process and help you make the most of your time once you arrive. Even better, staying at a Disney Resort hotel lets you take advantage of the many benefits available to families. 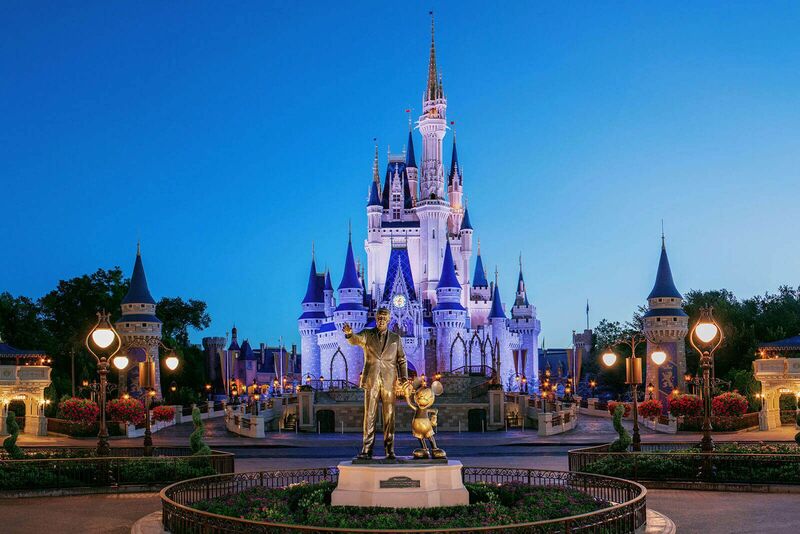 And with over two dozen Disney Resort hotels, there are plenty of options for every family style and budget. Want to spend more time having fun and less time in lines? Your secret weapon is the My Disney Experience mobile app you can download for free, available for iOS and Android. Choose some favorite Walt Disney World experiences, then simply schedule them into your trip with FastPass+ service to bypass the regular lines at popular rides and attractions. For each day of your Magic Your Way ticket, you can use FastPass+ service to select times to experience three attractions in a single park. You can add even more experiences the same day once you’ve used your original choices. One huge advantage of staying at a Disney Resort hotel is that you can begin locking in your plans 60 days in advance of your arrival day. Don’t worry that you may want to change your mind later. At any time—even once you’ve arrived at Walt Disney World—you can use the app to change plans on the fly. One huge advantage of staying at a Disney Resort hotel is that you can begin locking in your plans 60 days in advance of your arrival day. Another perk for Disney Resort hotel guests is the chance to visit the theme parks during Extra Magic Hours. Each day, one of the four main parks is open extra time for theme park ticket holders who are Disney Resort guests. The morning Extra Magic Hour lets you experience select attractions prior to the park’s official opening time. That means that you could ride, say, the Seven Dwarfs Mine Train in the Magic Kingdom or Frozen Ever After in Epcot before the regular crowds arrive. Don’t worry about keeping track of your wallet. When you stay at a Disney Resort hotel, your MagicBand doubles as a Disney Resort charge card. Theme park ticket holders who are guests at Disney Resort hotels can visit the parks during Extra Magic Hours, a window before or after the parks are open to the public. Theme park ticket holders can use FastPass+ to designate times to enjoy up to three experiences per day in a single park, from rides and character meet-and-greets to shows and fireworks. Your MagicBand is your key to Walt Disney World, holding all the components of your vacation—theme park ticket, room key, FastPass+ picks, dining reservations, and more. Does your family love Star Wars? Choose a Disney Resort hotel near Disney’s Hollywood Studios theme park, home to many Star Wars experiences and attractions. For guests staying at Disney Resort hotels, getting around is a breeze. Keep in mind that the world's most popular family destination is 43 square miles, or roughly the size of San Francisco. It comprises four theme parks, two water parks, dozens of hotels, several golf courses, four lakes, and an endless array of eateries, shops and myriad fun experiences. 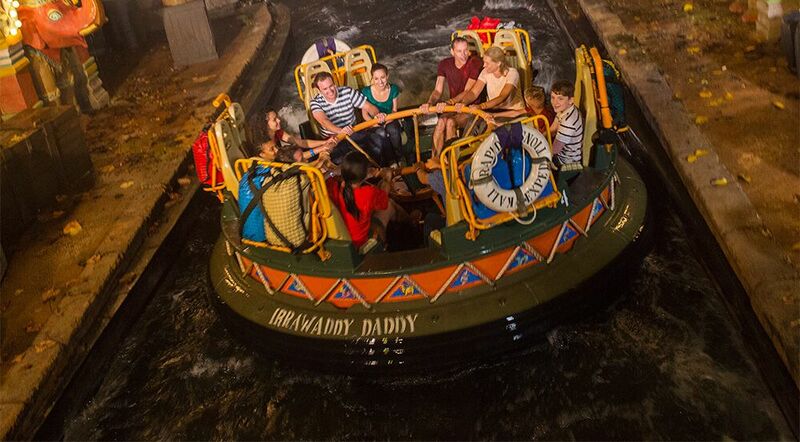 During your stay, you can easily get around using the transportation system of monorails, buses, and water taxis. Every Disney Resort hotel offers transportation to all theme parks and water parks, as well as to Disney Springs. But if you have little kids and plan to spend a lot of time at the Magic Kingdom park, you may want to consider choosing one of the three resorts (Disney’s Grand Floridian Resort & Spa, Disney’s Contemporary Resort, and Disney’s Polynesian Village Resort) served by the monorail. When it’s time for a break from the fun, you can quickly zip back to your hotel for a midday rest and some downtime at the pool, then head back for all of the nighttime fun. Every Disney Resort hotel offers transportation to all theme parks and water parks. Since my favorite way to get around Walt Disney World Resort is via water taxi, I am an enormous fan of Disney’s Yacht Club Resort and Disney's Beach Club Resort, which feature water-taxi service to Disney's Hollywood Studios and Epcot. And foodies will want to consider the three resorts (Disney’s Port Orleans Resort, Disney’s Old Key West Resort, and Disney’s Saratoga Springs Resort & Spa) offering water-taxi service to Disney Springs, the newly expanded shopping and dining district where options range from affordable pizza and burgers to celebrity chef restaurants. Wherever you need to go, Disney gets you there quickly and conveniently. Bus On your arrival and departure days, you’ll receive complimentary transportation to and from Orlando International Airport via Disney's Magical Express service. Boat Water taxis and ferries sail to and from the Magic Kingdom, Epcot, and Hollywood Studios parks as well as Disney Springs. Most boats run on 15- to 30-minute intervals. Monorail Disney's monorail serves the Magic Kingdom and Epcot theme parks, making stops at Disney's Polynesian Village Resort, Disney's Contemporary Resort, and Disney's Grand Floridian Resort & Spa. A Walt Disney World vacation is about so much more than rides. Theme park ticket holders can also use the My Disney Experience app and FastPass+ service to schedule select character meet-and-greets, rides, shows, and fireworks viewing areas in advance of your stay. There are also hundreds of places to share a meal with your family. Disney Resort hotels offer special dining experiences, from fun character meals such as Minnie’s Beach Bash Breakfast at Disney's Beach Club Resort to the Hoop-Dee-Doo Musical Revue dinner show at Disney's Fort Wilderness Resort. For a special treat, head to Disney's Contemporary Resort's California Grill for a view of the Magic Kingdom fireworks. Restaurants book quickly; you can make reservations for table-service and character dining meals up to 180 days before your stay. Finally, don’t be surprised if your child’s favorite thing about Walt Disney World turns out to be the hotel’s themed swimming pool. While every Disney Resort hotel pool is wonderful, favorites include the show-stopping Lava Pool area at Disney's Polynesian Village Resort, which features a waterslide, children’s water play area, and hot tub with expansive views of Seven Seas Lagoon. And for beach lovers, there's nothing better than Stormalong Bay, a three-acre water playscape featuring a gently sloping sand-bottom pool at Disney's Yacht Club Resort and Disney's Beach Club Resort. Highlights for kids include a lazy river and a 230-foot-long water slide that emerges from a life-size replica of a pirate shipwreck. Don’t be surprised if your child’s favorite thing about Walt Disney World turns out to be the hotel’s themed swimming pool. Weather permitting, some Disney Resort hotels also offer “movies under the stars,” a program of outdoor screenings of popular Disney films on select nights. Let your kids wear their pajamas and bring a favorite stuffed toy. Watching a beloved movie outdoors on a beautiful Florida evening can be a wonderful way to wind down the day as a family. Use the My Disney Experience app to make reservations for table-service and character dining meals up to 180 days before your stay. Walt Disney World Resort offers many opportunities to move and groove, with live concerts and dance parties where guests get down with favorite Disney characters. From gurgling volcanoes to life-size shipwrecks, the themed swimming pools at Disney Resort hotels delight kids of all ages. Hollywood Studios park whisks you to a galaxy far, far away for Star Wars-themed experiences ranging from rides to live shows and character meet-and-greets. Looking for a one-of-a-kind dining experience? Enjoy a meal while viewing wildlife on a savannah or watching nighttime fireworks spectacular. On select nights, guests at Disney Resort hotels can attend “movies under the stars,” a program of outdoor screenings of popular Disney films. Many Disney Resort hotels offer special dining experiences, including fun character meals featuring visits from beloved Disney friends. Make sure to check out Disney's special offers to explore savings on rooms and packages that can include dining plans, Magic Your Way tickets, and more. Thanks to the wide variety of Disney Resort hotels, families can choose a property that fits their needs. On a budget? Disney Value Resorts offer themed pools, food courts, playgrounds and unique touches, from the gigantic Rubik's Cube adorning Disney's Pop Century Resort to the 40-foot Pongo and Perdita statues and Dalmatian murals found at Disney's All-Star Movie Resort. For a mini splurge that creates a great big memory, consider upgrading to an eye-popping specialty guest room at a Disney Moderate Resort. At Disney's Port Orleans Resort, princess-themed rooms feature gold and crystal accents and ornate beds whose headboards are fitted with fiber-optic special effects. Meanwhile at Disney's Caribbean Beach Resort, pirate-themed rooms feature boat-shaped beds, plank-patterned carpet, and wooden barrels that cleverly hide a mini refrigerator. Consider upgrading to an eye-popping specialty guest room at a moderate resort. Got three or more kids? The family suites at Disney’s Art of Animation Resort offers plenty of room to spread out while you’re immersed in your favorite Disney/Pixar animated films. Elaborately themed to The Lion King, Finding Nemo, Cars, or The Little Mermaid, each family suite sleeps six and features separate living and sleeping areas, two bathrooms and a kitchenette. Whatever your family’s size, budget or interest, there is a perfect Disney Resort hotel for you. Is affordability a priority? 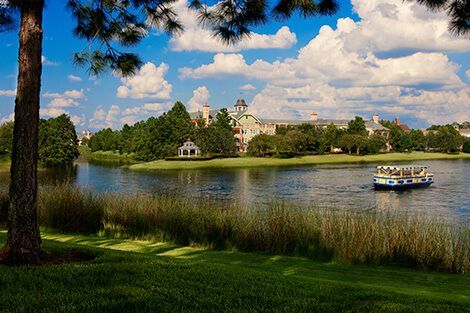 Disney Value Resort hotels offer great perks at a price that won’t break the bank. Expect fun theming, large swimming pools, food courts, and more. Many families think Disney's mid-priced category offers the best of all worlds. You’ll find spacious rooms and suites, lush landscaping and pool areas, and multiple dining options at these hotels. Prepare to be dazzled. The most luxurious Disney Resort hotels offer plush rooms and suites with beautiful furnishings and bedding, eye-popping pool areas, unique activity programs, and exceptional dining. Got a larger family? Disney Deluxe Villas offer luxurious home-away-from-home accommodations that can sleep 5 or more, with separate living and sleeping areas, full kitchens, and laundry facilities.